Intended to foster independence among Hamiltonians with special needs, a city-funded pilot project saw 151 residents with intellectual disaibilities learn how to ride the HSR. A recently completed pilot project has left the city with a step-by-step curriculum for instructing residents with intellectual disabilities on how to ride the bus. Lucy Yu, like hundreds of other Hamilton students graduating high school this spring, is easing into a life of increasing independence. But for the Ancaster resident that has meant acquiring a set of skills that many teens already take for granted. A special needs student in the Hamilton-Wentworth Catholic District School Board, Yu is one of 151 who have completed a city-sponsored pilot project to teach individuals with intellectual disabilities to ride the bus by themselves. Project coordinator Michelle Martin, who is set to deliver a presentation on the subject at the city’s public works committee on Monday, explained that the trial that wrapped up earlier this spring was approved by council in 2011 and administered by the Salvation Army’s Lawson Ministries. Armed with a $400,000 grant from city hall, Lawson Ministries developed a detailed curriculum on how to use public transit and enlisted social service workers from across Hamilton to guide clients through one-on-one training. The educational resources, which are being passed along to the city, include a series of step-by-step videos produced by local media company Airborne Video Productions. Riding the bus represents a routine, even thoughtless, task for many individuals. 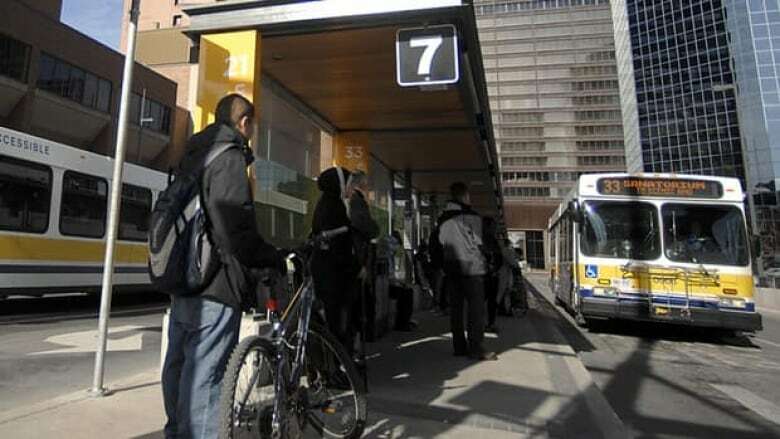 But for people with developmental delays, Martin said, checking the HSR schedule, getting on at the right stop and paying in exact change is no simple feat. Trainers taught students about the hidden complexities of navigating the bus system, spelling out the component parts of each step in the process. The program also covered tricky social terrain such as whom riders should approach if they need assistance, or what to do when they encounter service animals while in transit. After completing the instructional portion of the program, students practised their skills in the field, journeying with their trainers along routes that they had mapped out in advance. Of the 201 students who enrolled in the program over the last two years, 50 didn’t graduate, said Martin. Some participants dropped out of the program. In other cases, trainers felt that particular students wouldn’t be able to ride the bus safely by themselves. The ultimate goal of the program, Martin said, is to foster independence among Hamiltonians with special needs. After her stint in the bus-training program last year, Yu — who, according to her father, Jian, has the mental capacity of a 10-year-old — can take the bus to the mall or to a volunteer placement with an organization that helps children who have cleft lips or palates. Knowing how to ride the bus will also aid Yu as she begins classes at Mohawk College next year, her father said. She has enrolled to study in a cooperative education that teaches job and life skills to students with special needs. Yu told CBC Hamilton that she’s excited to start at Mohawk in the fall and said she appreciates not having to rely on others to get where she needs to go. “Now, my parents don’t have to drive me,” she said when asked what she felt was the best perk of being able to ride the HSR on her own. Martin said she hopes the city will use the curriculum to teach more Hamiltonians with developmental delays how to use public transit. Jian, too, is hopeful that others will have the same opportunity his daughter did. “The last time I met with Michelle, [my wife and I] asked if there’s anything we can do to keep the program [running],” he said.